The Chancellor of the Exchequer, Philip Hammond, has announced the 2017 Budget - and the first since Brexit. So what does it mean for drivers and car owners in the UK? We already know that there is a new VED system coming into affect from 1 April 2017. This applies to all new cars registered from that date and will see the majority of cars taxed at £140 a year. Existing vehicles - those registered on or after March 2001 - will stay in the current VED bands. The rates have increased by the RPI rate of inflation. So around £5 a year for most vehicles. Fuel duty remains frozen although that will be little compensation for motorists with unleaded fuel currently averaging £1.20 a litre across the UK. One line that caught our attention in the Budget regarded diesel cars. With the Government saying it will 'continue to explore the appropriate tax treatment for diesel vehicles, and will engage with stakeholders ahead of making any tax changes at Autumn Budget 2017.' A bleak future for diesels? There was no official accouncement on the much-rumoured diesel scrappage scheme, but we are expecting news from the Department of Transport in the coming weeks. The the Historic Vehicle taxation class for VED remains on a 40-year rolling system so April 1st sees all cars built prior to January 1976 being eligible for ‘free tax’. The Government says it will invest £93m in the North and £230m in the Midlands to address pinchpoints on the road network. It will also improve south west sections of the M25. 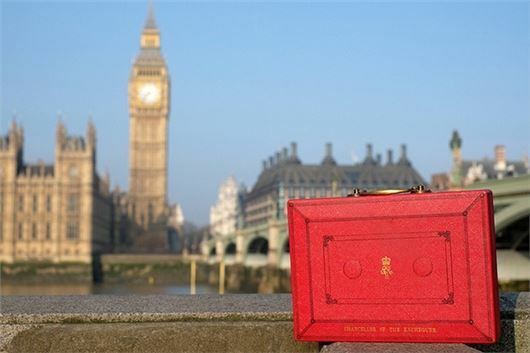 This will be the last Budget to take place in the Spring, from now, the annual Budget will be delivered in the autumn.